Do you want to get your inner Banksy on and stencil up the city in an environment-friendly way? 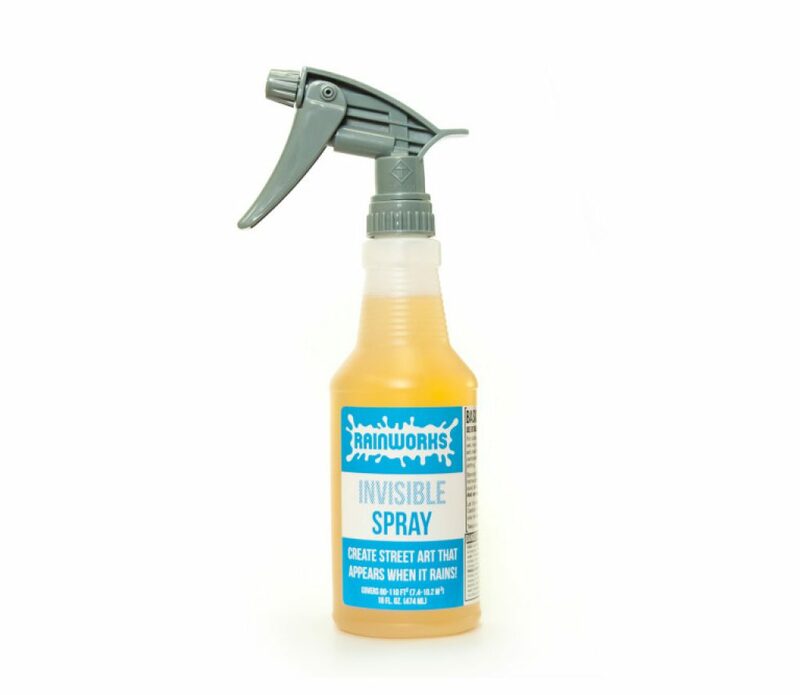 This invisible spray by Rainworks is the greatest way to testdrive your stenciling and street art skills. 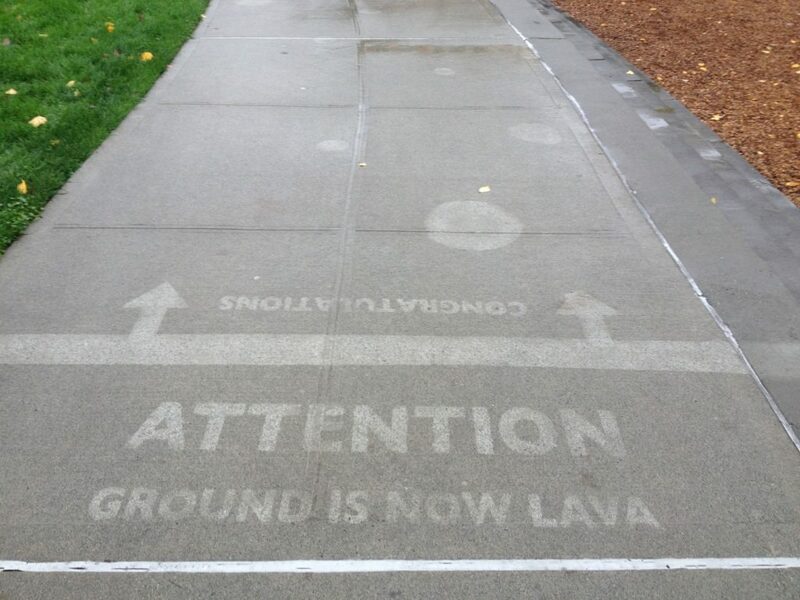 You spray a dose on a street surface and as soon as it rains your street art shows up. When applied correctly the Rainworks spray stays on for 2 to 4 months and is easily removable by scrubbing the surface with an earth-friendly cleaning product. You don’t have to wait until it rains. A bucket of water, water balloons or a garden sprayer will bring out your rain art just as well, making it a great way to impress kids and bystanders. Discounts are applied whenever you buy the bottles in bulk. I’m all for surprise art and putting smiles on people’s faces on a rainy day. Who’s with me?